comment Buy a 3, 5, or 7 day pass and get a FREE One Day Universal Studios Hollywood Weekday Ticket! Free admission to either SEA LIFE Aquarium or LEGOLAND Water Park. Offer valid for visits from 22 April to 24 May 2019 (T&C applies). The Go Los Angeles Card is the ONLY multi-attraction pass that gets you into over 30 top attractions in the city for one low price for great flexibility combined with maximum savings. Save up to 50% off combined individual admission prices, PLUS, get a FREE One Day Universal Studios Hollywood Weekday Ticket when purchasing a 3, 5, or 7-Day pass! The Go Los Angeles Card is the best choice for maximum savings and flexibility. 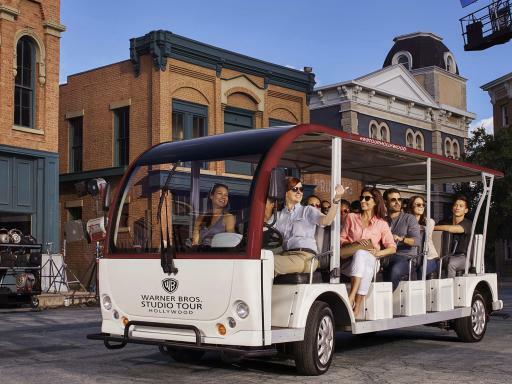 Save up to 50% off retail prices on admission to over 30 top attractions and tours including Warner Bros. 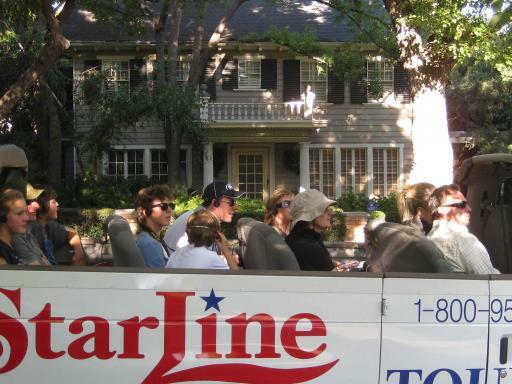 Studio Tour and Madame Tussaud’s Hollywood and more for one low price. All 3, 5, or 7-Day passes include one weekday visit to Universal Studios Hollywood. Enjoy the flexibility to choose attractions as you go and do as much as you want each day. Flexibility - Create your own bespoke itinerary with admission to over 30 attraction choices. Choice - Choose from a 1, 2, 3, 5 and 7-Day ticket options. The Go Los Angeles Card can then be used for the number of days purchased within a 14-day window - take up to 2 weeks to use your card. Freedom - No limitations. Do as much as you want each day. Save Money - You only have to visit a few attractions per day to see significant savings on the price of individual entrance tickets. Save Time - Skip the line at select attractions. Extras - Enjoy savings on shopping, dining and selected excursions. Easy to Use - Your Go Los Angeles Card will be available for download shortly after your booking, meaning you can begin planning your itinerary straight away and use your card as soon as you arrive in Los Angeles. Simply print your Go Los Angeles Card or present it directly on your mobile device in order to get into each attraction. Purchase a 3, 5, or 7-Day card you’ll receive a pass and get a One Day Universal Studios Hollywood℠ Ticket valid any day of the week. Value for money and we would use this again when we return to Los Angeles or other areas that promote the GO card. Excellent value. Bought the 5 day ticket and still didn't do everything I planned. Excellent product. Shame it doesn't do disney. Excellent value for money saved a fortune using this card and visited attractions you perhaps wouldn’t of done through it. You will be issued a gate ready e-ticket, enabling you to start using your Go Card as soon as you arrive in Los Angeles. The Go Los Angeles Card will be available to download from your customer account. Print your Pass or present it directly on your mobile device to get into each attraction. Your e-ticket will include a link to the Go Los Angeles Card e-guidebook with the most up-to-date attraction information, which you can download to your phone or print at home. 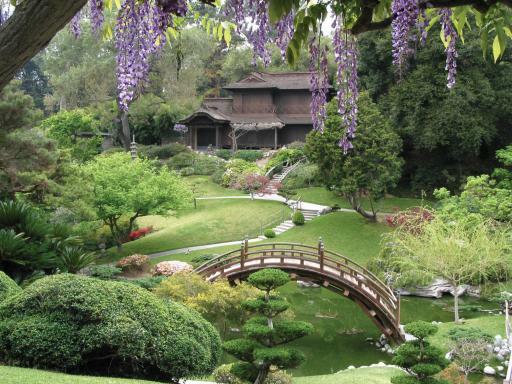 The Go Los Angeles Card gets you into each and every one of the included attractions. There is no restriction on how many attractions you visit. Unless otherwise noted, you may visit each attraction only once. 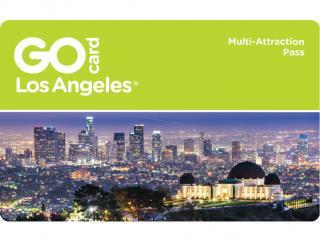 The Go Los Angeles Card is activated the first time you use it and is valid 1, 2, 3, 5 or 7 days depending on the option purchased. The Go Los Angeles Card can be used for the number of days purchased within a 14-day window - you do not have to use the card over consecutive days. Tickets expire after 14 days irrespective of whether all the days have been used or not. Featured attractions are subject to change without notice. Some attractions may be subject to seasonal opening and specific opening hours/start times. Full details will be included in the Go Los Angeles Card Guidebook. The Universal Studios Hollywood One Day Ticket offered free with 3, 5 or 7 Day Go Los Angeles Card is valid any weekday. This offer must be used within the life of your Go Los Angeles Card - For example: if you book a 3-day card, it would need to be used on one of those 3 days. 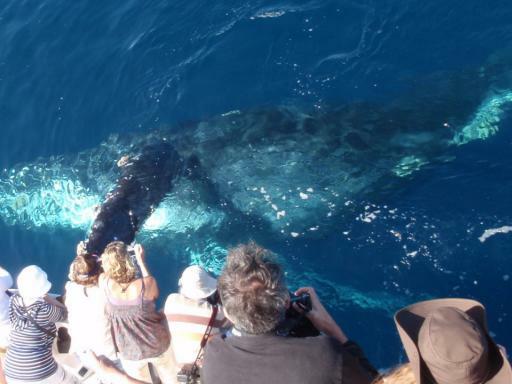 Some of the featured tours require advance reservations and are subject to availability. Details of how to book will be included in the Go Los Angeles Guidebook. For visits from 22 April to 24 May 2019 all Go LA pass holders will receive free admission to either SEA LIFE Aquarium or LEGOLAND Water Park. Ticket for SEA LIFE or LEGOLAND Water Park will be issued by admissions when the pass is presented at LEGOLAND California ticket booth during the promo dates. Ticket must presented for admission to SEA LIFE Aquarium or Water Park turnstile on the same day as LEGOLAND admission. Offer valid for visits from 22 April to 24 May 2019 (water park days of operation vary). How do I receive my Los Angeles Pass? Shortly after booking, your Go Los Angeles Pass will be available to download from your customer account. You can download your ticket your phone or print out the pass to get into each attraction. This will enable you to start using your Go Los Angeles Pass straight away. 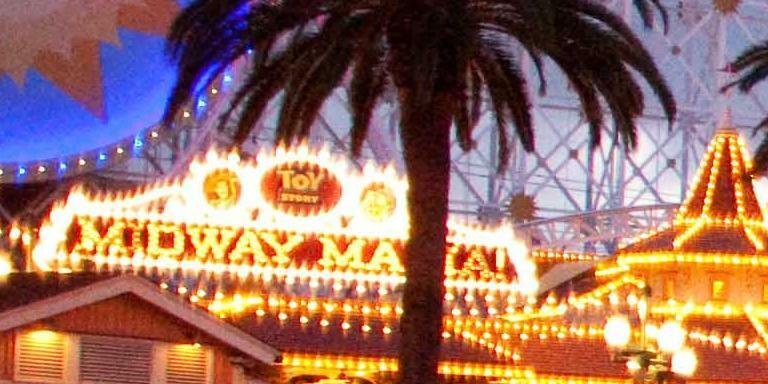 How many attractions can I visit in a day? There is no maximum limit. 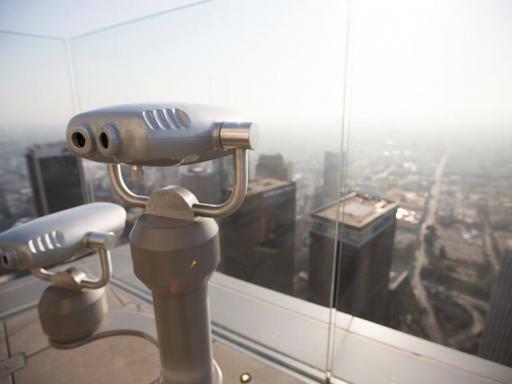 You can visit as many Los Angeles attractions as you like between 9.00am and 5.30pm. In most cases, you can visit each Los Angeles attraction once per day. Some attractions are valid only once during the life of the pass. Please reference your guidebook for specific information on each attraction. Is my Go Los Angeles card valid all day? You can enter attractions until 5.30pm with the Go Los Angeles Card. Can the Universal Studios Hollywood ticket be used outside of the Go Los Angeles Card validity? No, the Universal Studios Hollywood ticket must be used within the life of your Go Los Angeles card. For example: if you book a 3 day card, it would need to be used on one of those 3 days. 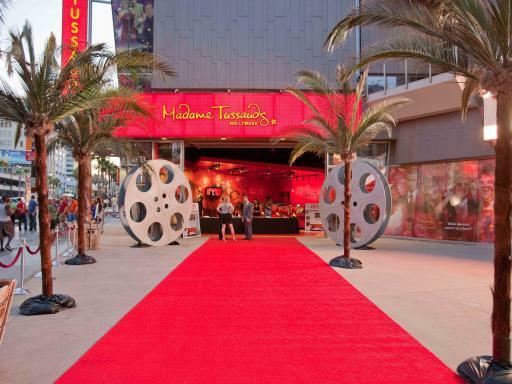 Madame Tussauds Hollywood - Ticket includes the Marvel Superheroes 4D Experience! 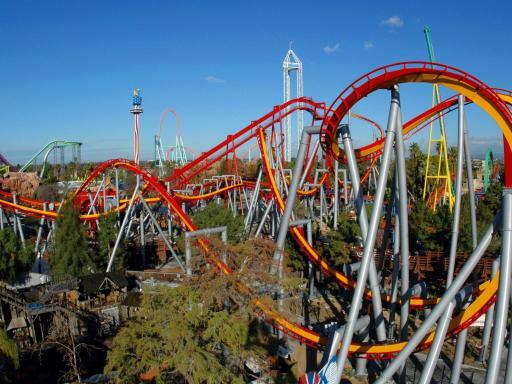 Six Flags Magic Mountain - Skip the Ticket Booth and Go To Ticket Will Call! 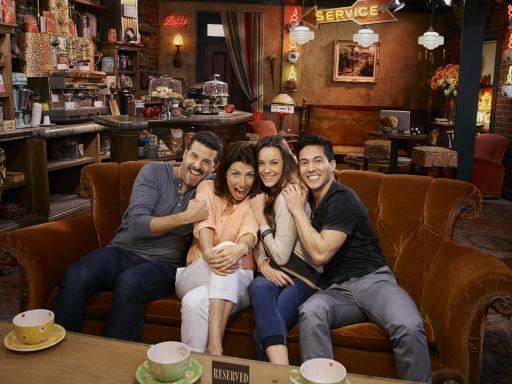 Hollywood Behind-the-Scenes Tout by Red Line Tours - Express Entry at Counter! Purchase a 3, 5, or 7-day card and get a Universal Studios Hollywood One Day Ticket that is valid any day of the week. Additionally, the offer must be used within the life of your Go Los Angeles Card - For example: if you book a 3-day card, it would need to be used on one of those 3 days. 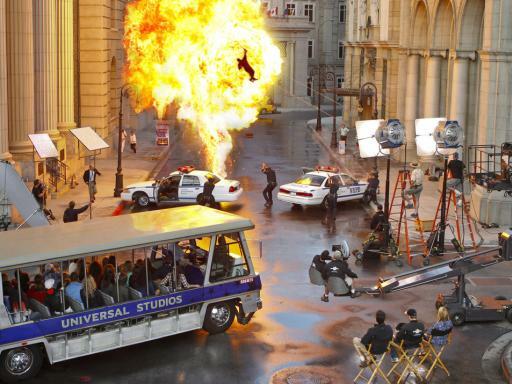 Go behind the scenes of the world-famous Studio Tour to experience real film sets where Hollywood movies are made. Enjoy all the thrilling rides, shows and attractions including The Wizarding World of Harry Potter™, Despicable Me Minion Mayhem and much more.